This journey begins at a bustling commercial city of Mumbai and ends in the national capital, Delhi. In this Indian heritage luxury tour, you get to admire the beautiful cave paintings at Ajanta, a UNESCO World Heritage site followed by a visit to the Venice of East, Udaipur. Catch the glimpse of regality of Rajasthan and visit the majestic Mehrangarh Fort at Jodhpur and enjoy sundowner cocktails with a sumptuous barbeque on the charming sand dunes of Bikaner. With iridescence of Pink City, Jaipur, catch the glimpse of elusive tigers from close quarters at Ranthambore and relearn the meaning of beauty and love at Taj Mahal, one of the Seven Wonders of the World. 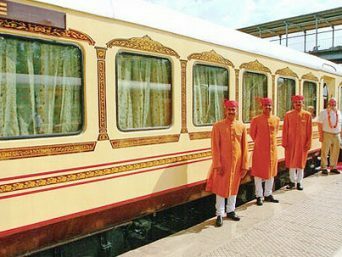 To make our heritage train tours an unforgettable affair, Maharajas’ Express, world’s leading luxury train provides all this in utmost lavishness and opulence. 5% GST will be charged extra. Our iconic Heritage of India begins with a grand welcome which is carried in accordance with Indian customs. Registration is carried at the Taj Mahal Palace Hotel(Reporting time is 1430 hrs). 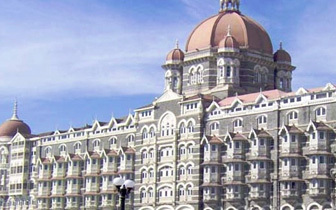 Guests are then escorted to Chatrapati Shivaji Terminus Railway Station, Mumbai to board the Maharajas' Express and begin their Indian heritage luxury tours. The Maharajas' Express then leaves for Ajanta where our guests have their brief affair with the rich Indian history. Guests can satiate their hunger with a sumptuous on-board dinner and then spend the overnight in lavish cabins and suites of Maharajas'. Begin your day with an on-board breakfast. 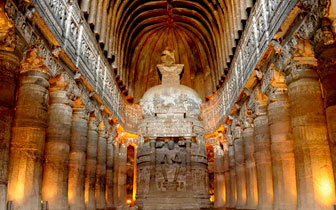 Proceed for excursion to Ajanta Caves. These archaic Buddhist rock cave monuments date back 2nd BC or 480 or 650 AD; these were discovered under imperial rule and will give a perfect beginning to the luxurious heritage tour Return to the comforts of Maharajas' Express for an on board lunch and spend your evening at leisure. The Maharajas' Express then proceeds for the Venice of East, Udaipur; the second destination of Heritage of India tour. 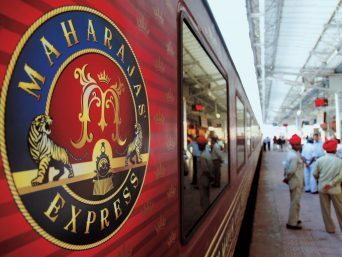 Enjoy your on-board Dinner and spend the night on the opulent Maharajas' Express. Begin your day with an on-board breakfast. 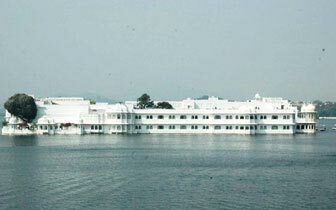 As soon as guests arrive in City of lakes, Udaipur they proceed for a rejuvenating boat ride on the calm waters of lake Pichola followed by visit to grandiose City Palace which also has a vast collection of ancient miniature paintings and Crystal Gallery. In our iconic Indian heritage luxury tours guests can also peek into Indian artistry. Guests can then have a royal lunch at Satkar Hall of Fateh Prakash Palace in the premises of city Palace. One can either choose to return to the train for a relaxed afternoon or may also opt for the optional services like Spa facilities at 5 Star hotel in Udaipur Private shopping tour Sound and Light show (if time permits). Have a lavish dinner in our thematic restaurants-Rang Mahal and Mayur Mahal. 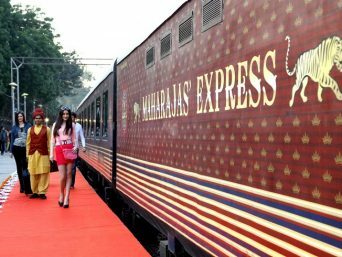 Maharajas' Express then proceeds for Jodhpur, third destination in Heritage of India tour and guests can spend their night comfortably on the Maharajas' Express. Have a sumptuous breakfast on-board and either spend the morning at leisure on board or one can choose to Avail the Optional tour to Bishnoi village (if time permits) Enjoy Spa facilities at a 5 star hotel. Have your lunch on-board. Post lunch, guests proceed to visit the archaic Mehrangarh Fort followed by walking tour of the Old Clock Tower Market. Guests can experience like locales of the city in our special Heritage Train Tours with a joy ride on Tuk-tuks. Guests can then proceed for an exclusive Royal Cocktail Dinner with cultural performance, a highlight of our Heritage of India (puppet show), at Hanwant Mahal. 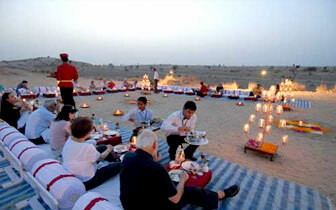 Guests then return to the comforts of the Maharajas' Express which leaves for Bikaner. The day five in our Heritage of India tour begins while having on-board breakfast which guests can enjoy with a quaint view of countryside. As guests arrive in Bikaner they can either choose to relax on-board or may also choose to visit either Lalgarh Museum- where you can witness the architectural marvel of Rajasthan Deshnok (Rat Temple)- About 600 year old and is known for its sacred rats. Guests have their lunch on-board and proceed to visit Junagarh Fort. Guests then proceed for sundowners cocktails amidst the picturesque Sand Dunes. En-route tea break at Gajner Palace. Our Indian heritage luxury tours are exemplars of fun with luxury and our guests experience the same as they arrive at the sand dunes and are greeted by cocktails, barbeque and folk dances. Guests later return to the comforts of the Maharajas' Express and the opulent train leaves for Pink City, Jaipur. Begin your day with an on-board breakfast. 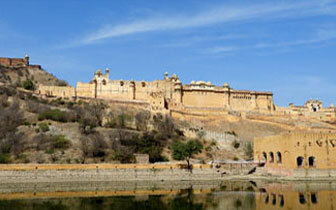 Arrive in Jaipur and begin your odyssey with a visit to the Amber Fort. After that guests proceed to City Palace/Jai Mahal Palace where they can get a closer look at the heritage of India for and also indulge in an elephant activity where guests may choose to paint them, feed them or take a regal[Royale ride] ride followed by lunch. Post lunch guests can either return to the comfort of Maharajas' Express or may choose from optional activities such as Spa facilities at 5 star hotel Private shopping tour Golfing at Rambagh Golf club Visit to City Palace and The Observatory (Jantar Mantar). Guests have their dinner on board. 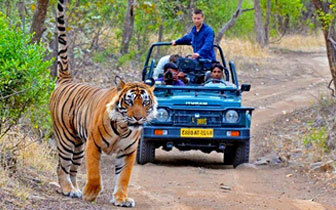 Guests proceed for an exciting game drive at Ranthambore National Park. Have a sumptuous breakfast on Board. 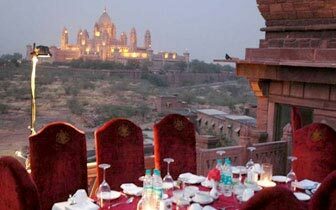 The Maharajas' Express then proceeds for ancient Mughal capital, Fatehpur Sikri and guests have their lunch on board. Arrive in Fatehpur Sikri and visit the deserted Mughal city. Guests later return to the comforts of Maharajas' Express and enjoy an "Indian Evening" followed by dinner on-board; a speciality of our Heritage Train Tour. Guests spend their night on the Maharajas' Express. Arrive into the last destinations of The Heritage of India tour, Agra and proceed to visit the monumental icon of love, Taj Mahal. Enjoy a Champagne Breakfast feast atop Taj Khema The Maharajas' Express proceeds for its last stop, the national capital- Delhi. Relish the last lunch of the tour on-board. Disembark and bid farewell to the Maharajas' Express and The Heritage of India tour as your journey comes to an end!